Can a JotForm write directly to my own database? If I have my own server set up to collect user data in a database, can my JotForm form write directly to it or is it limited to email submissions and writing to the JotForm server? Yes it is possible for Jotform to interact with your database by using POST submissions but this requires to devise a server script that can pass the values to your database. 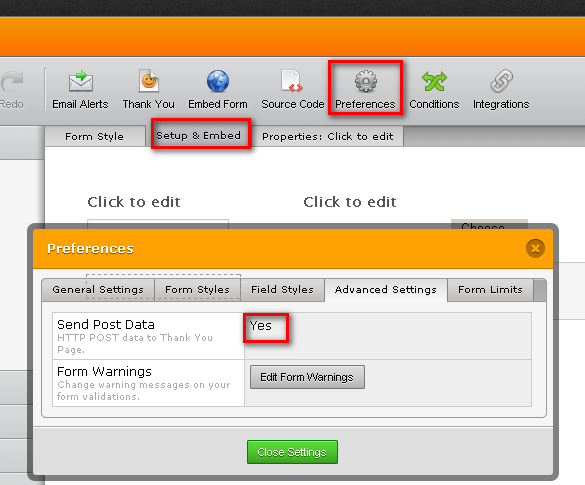 1.First open your form on the form editor. After clicking next, enter the file that will handle your POST variables and click Finish. 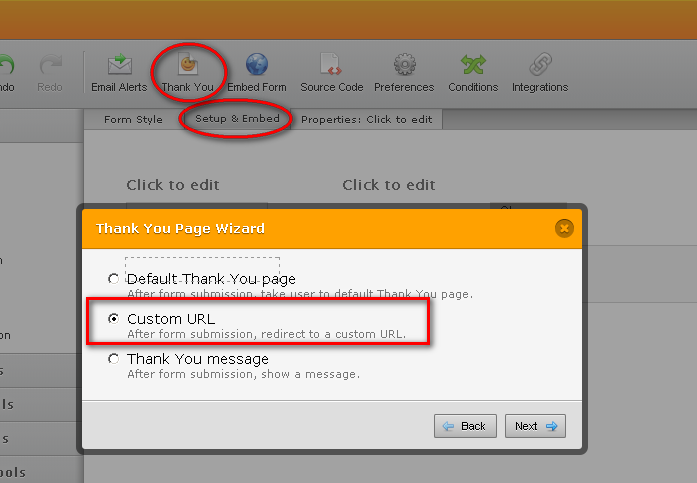 1.Now go Setup & Embed again and click Preferences. 2. Go to Advanced Settings tab. 3. Set Send Post Data to Yes. As shown on the illustration the POST data is forwarded to test.php which then retrieves the POST variables and their values and process them before sending to the database. If you have any concerns please let us know. Thanks. I am glad you liked the idea. Please be advised that you need to make a server script such as php or asp.net on the redirected page that can pass along values to the database. If you have any concerns, please don't hesitate to post them on the forum. Thank You!